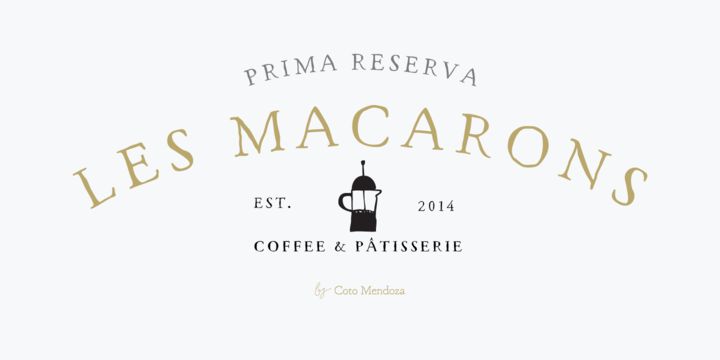 Macarons is created by Guisela Mendoza and published by Latinotype. Derived from the old-style typefaces, Macarons is characterized by fancy handwriting elements which have recently inspired this new and uprising culture, called slow food. Due to this “green” source of inspiration, Macarons manages to give a natural and different look to design projects. A font description published on Saturday, July 5th, 2014 in Fonts, Guisela Mendoza, Latinotype by Iulia that has 4,732 views.